When we named our company Pinnacle HVAC, we had a reason. I’ve been in the heating and cooling business since I worked for my dad’s company when I was 14 years old. What I learned after being in the business for so long is that it’s important to have skilled technicians who know what they’re doing so they can fix the air conditioner or furnace quickly and correctly. But, almost all companies can offer that. What sets a company apart from the competition is the rest of the package – great customer service. And that’s where the name came from. A pinnacle is defined as a lofty peak or the highest point. At Pinnacle HVAC, we strive every day to live up to our name when it comes to customer service. We make sure we offer the services our customers want like 24-hour repair service, flat-rate pricing so there are no surprises, and technicians who are background checked and drug tested for your peace of mind. At Pinnacle, we strive every day to bring you the very best in service – both repair and installation service AND customer service. 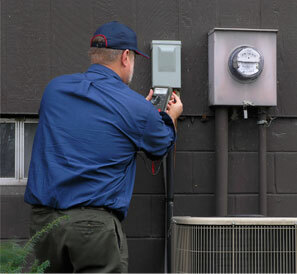 When you call Pinnacle HVAC for heating and cooling service, expect the best. Call us when you need help with your furnace, air conditioner, ductless mini-split, humidifier, air cleaner, programmable thermostat, or anything else. Call (781) 647-7117.